When healthy eating has not been part of everyday life and convenience foods have left you feeling sluggish and lethargic, Ortis Pure Plan Detox helps cleanse the body from the inside out. This organic 10-day inner cleansing plan contains a mixture of fruit juices, syrups, artichoke, fennel, burdock, dandelion and other organic ingredients. Simply dilute 15ml into 1.5 litres of still mineral water and drink throughout the day. Every morning dilute 15ml into 1.5 litre of still mineral water and drink throughout the day. Not recommended for those sensitive to salicylated derivatives Do not exceed the stated daily dose Keep out of the reach of children. 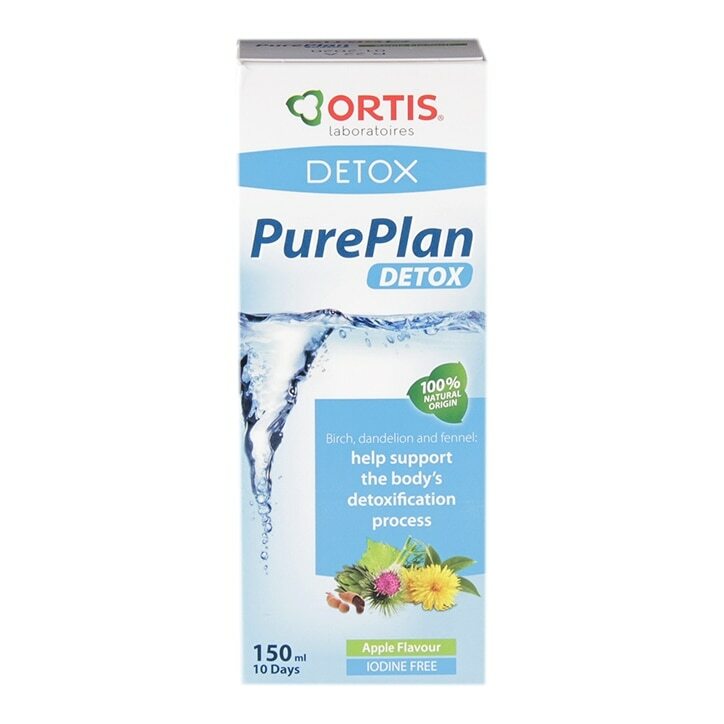 Ortis Pure Plan Detox is rated 4.0 out of 5 by 22. Rated 1 out of 5 by bahingo from Be wary of this, very potent, sick for two days This is incredibly powerful stuff. I went in to Holland and Barrett to get milk thistle and the sales assistant up sold me this. I took the foul smelling and tasting liquid as required for two days whilst hydrating. There are at least 3 different diuretics in this. On the third day it rose again! I woke up feeling queasy and needed to dash to the bathroom to throw up. I threw up throughout the morning, had diarrhea as well which also manifested without warning. I didn't sleep great that night and had nausea the next day so needed two days off work to get this stuff out of my system. The irony. Rated 5 out of 5 by JudyL from effective i have use this twice in the past year or 2. it's very effective and effortless. i felt so much better and with a lot more energy afterwards. highly recommended. Rated 5 out of 5 by LJFarkas from Great Detox Great detox plan. At first does not taste the best but after a couple of days, as always, your taste buds learn and actually change to like the taste. Have found it very beneficial to help clearing me inside and out. Will be trying again in a months time, as love the natural products and helping to keep healthy and hydrated!